What Factors Influence The Value Of Our Hand? 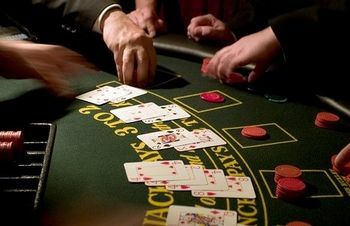 If we were playing poker against Pete the Passive Poker Player then it wouldn?t really matter if we were holding pocket aces or seven-deuce off suit. So what are the factors that influence the value of our hand? We may seem a little contradictory here, but if you wasn?t playing against Pete the Passive Poker Player all of the time then card ranking is very important when determining the value of your hand. Quite simply you will never fold pocket aces pre flop but would rarely open with seven-deuce off suit. If you are an excellent poker player then you can play more hands against your weaker opponents. If you are not very good at poker then you need to be playing fewer hands against better opponents. Therefore your hand values change dependent on your own personal skill level when compared to the skill levels of the players in your game. There are a wide variety of different situations that may be present on the table that will affect your hand values. A good example is when you find yourself in a game against a short stack specialist. Against these types of players you have a pretty good understanding of what their shoving hand range will look like and therefore this will influence the value of the hands you choose to play against this type of opponent.